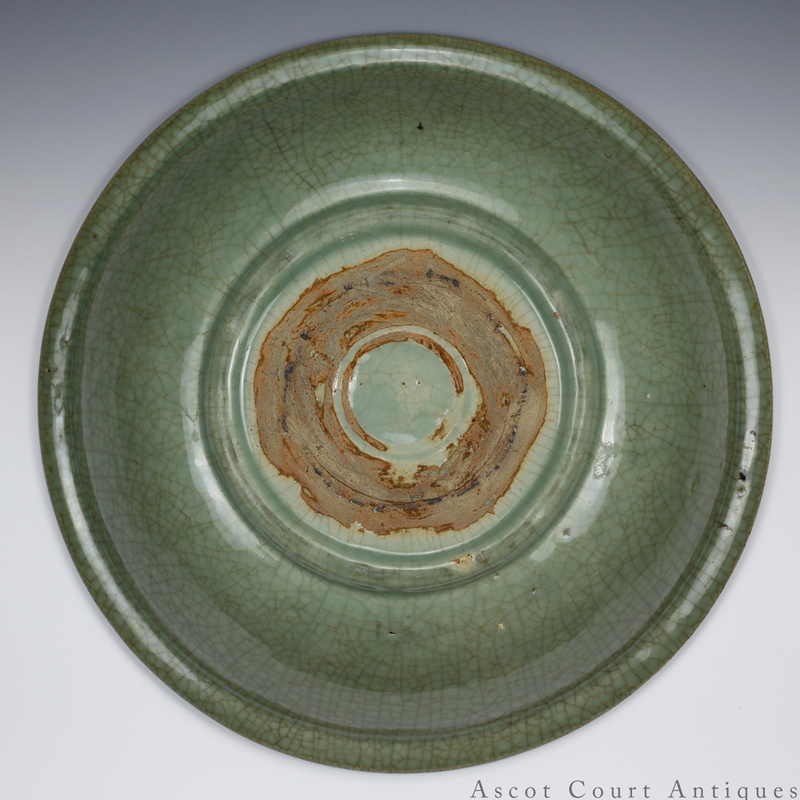 A huge and magnificent mid Ming Longquan celadon charger, measuring 41 cm in diameter, and carved throughout with peony and floral sprays. 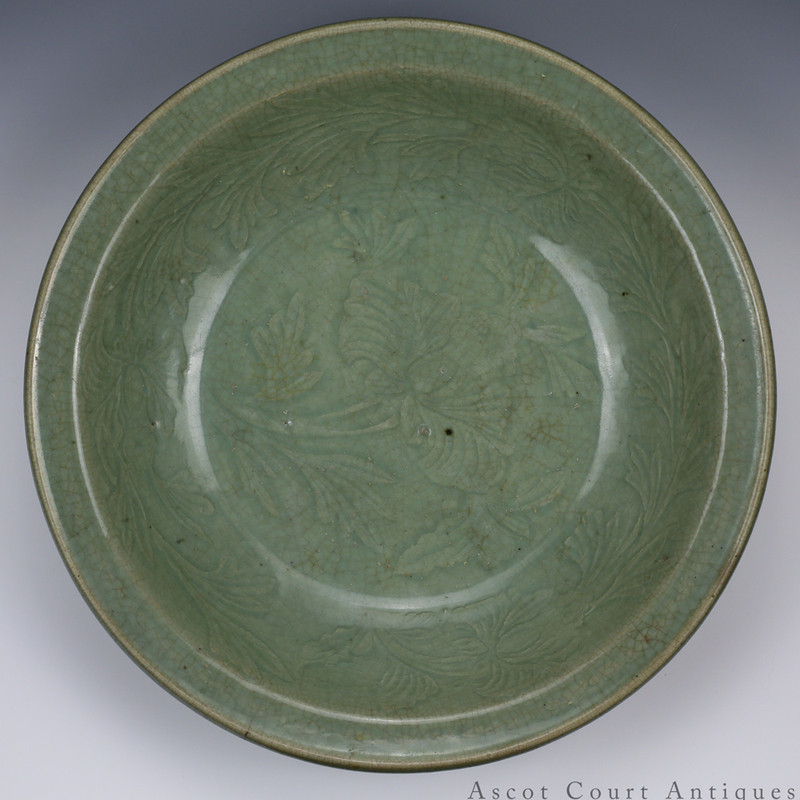 Beginning in the late 15th century, Longquan celadon glazes adopted a clear and crackled appearance. This was in part brought about by changing resources and production formulas at the Longquan kilns in Zhejiang province. 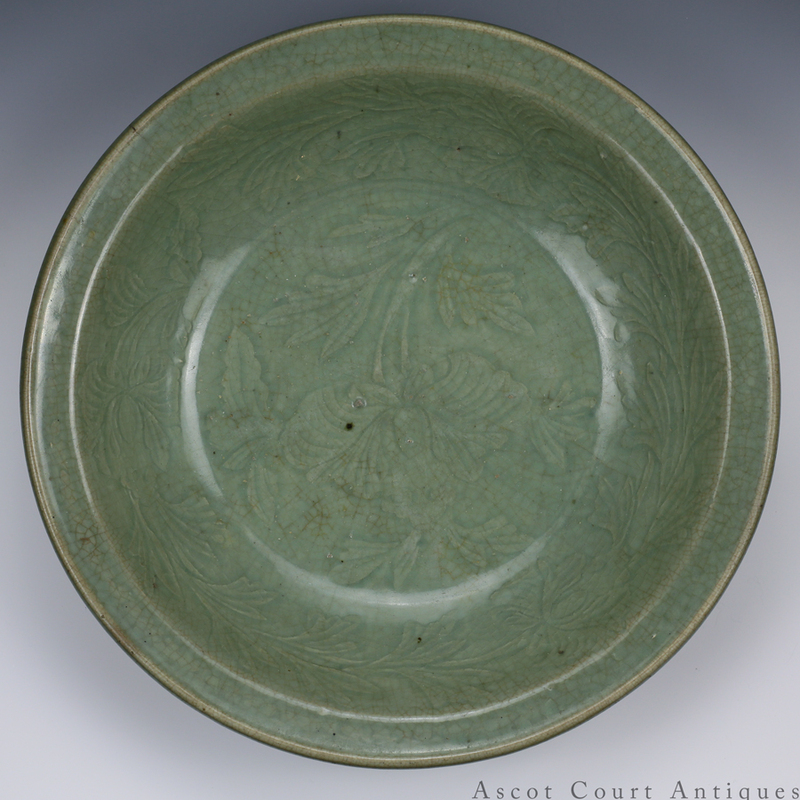 But changing consumer tastes may have also played a role: as antiquarian fever swept across late Ming china, buyers and collectors demanded pieces with “antique” glazes, such as those imitating crackled Song dynasty ‘ge’ and ‘guan’ glazes. 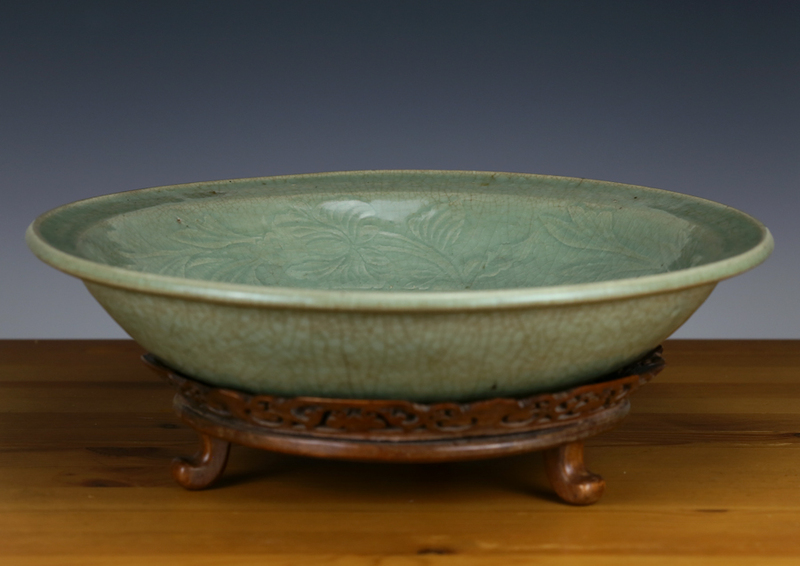 Jingdezhen produced a number of ‘ge’ style porcelain during this period, and potters at Longquan may have felt compelled to produce their own version of a crackled glaze. 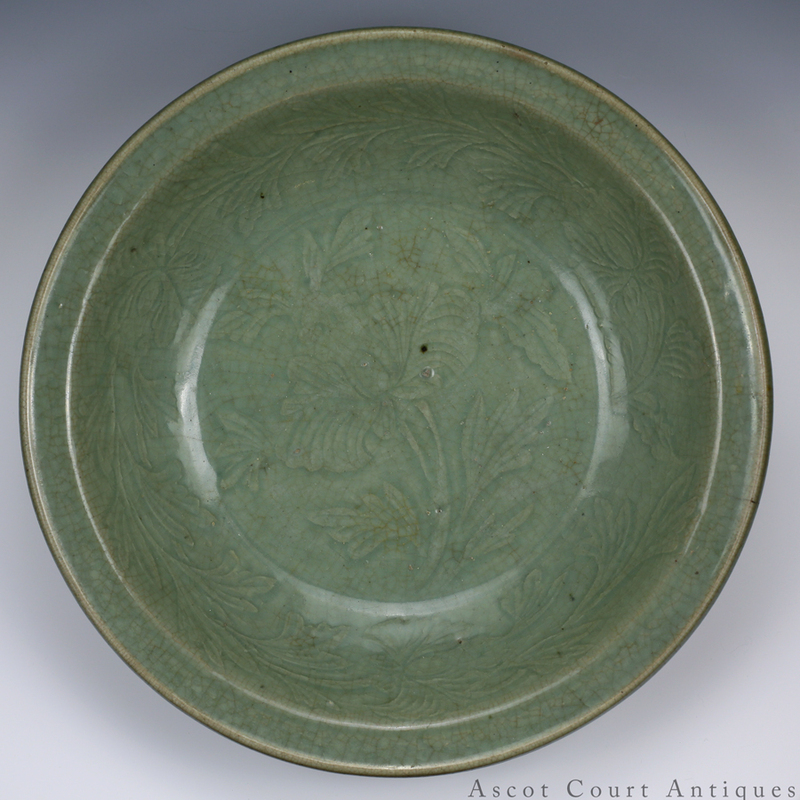 As Longquan celadon glazes took on an increasingly pellucid sheen in the 16th century, old decorating methods resurfaced. 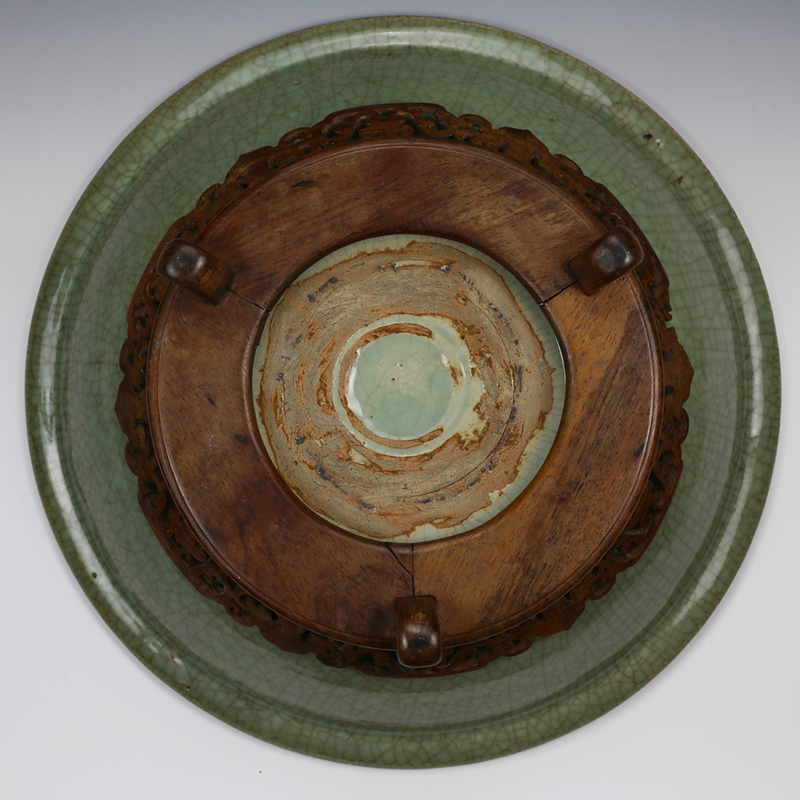 For centuries prior to the Song dynasty, potters at Yue and Yaozhou kilns hallowed out designs from biscuit clay using sharp blades, and then fired the pieces with a greenish clear glaze. 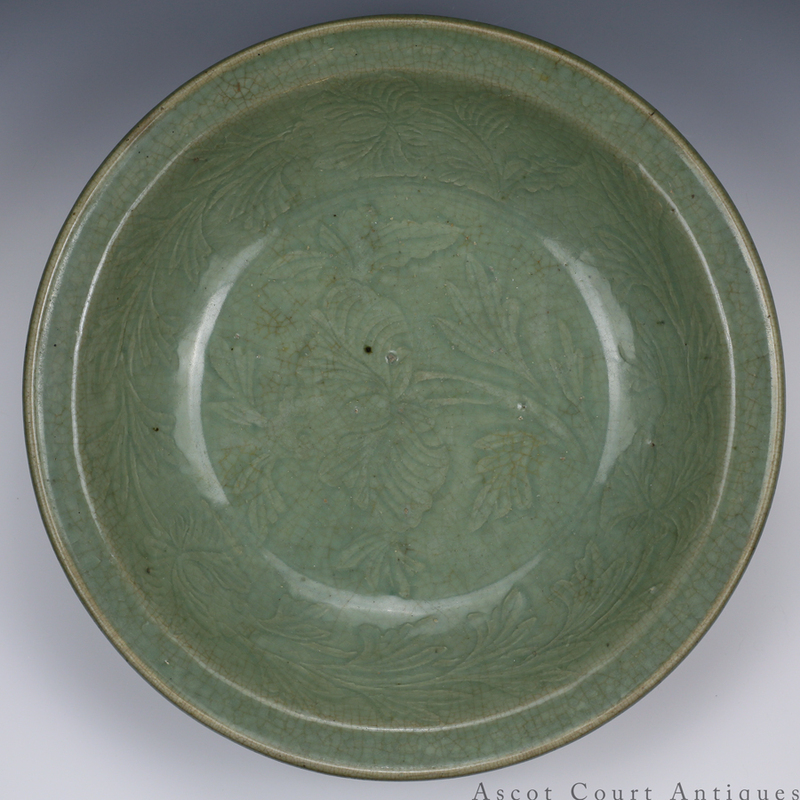 But Longquan potters of the Song-Yuan dynasties had to abandon this craft in favor of mold and applique methods, for early Longquan glazes were so opaque that any carved decorations would be buried and invisible underneath the glaze. 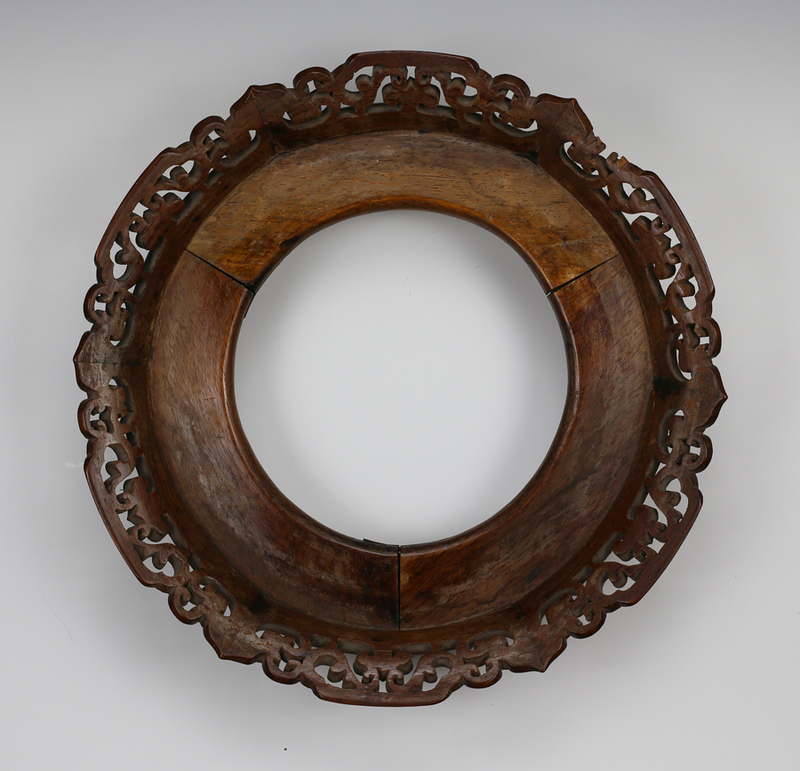 The later development of a relatively clear glaze at Longquan ensured one last revival (the method would virtually disappear in the Qing dynasty) of the ancient carved-decoration method. 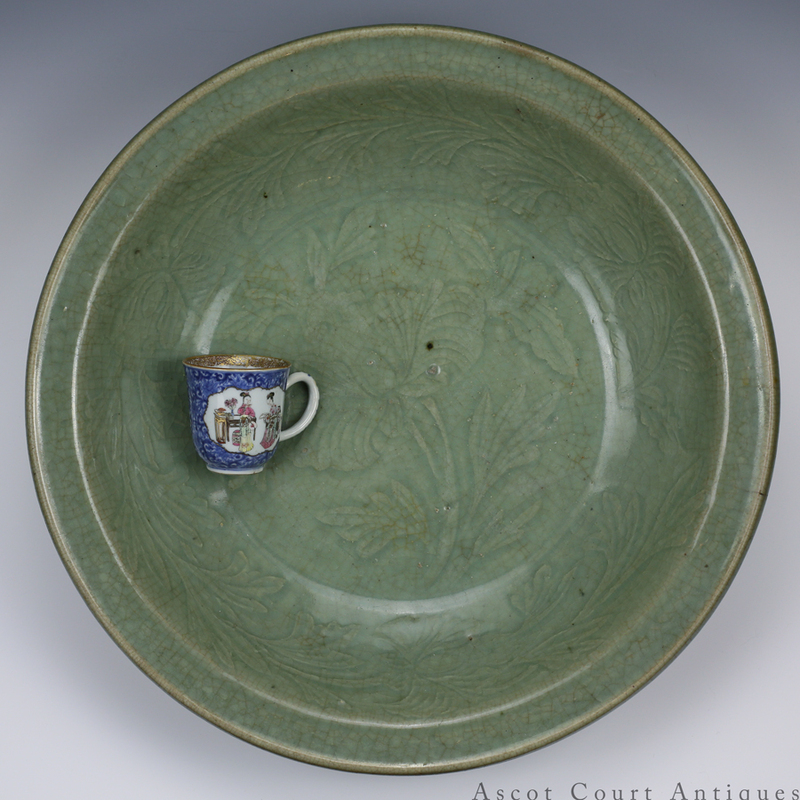 The resultant pieces combine the sharp liveliness of Yue/Yaozhou wares with the monumental scale of Longquan celadons. There is a nearly identical charger with carved peony design in the Victoria & Albert museum (4534-1858; on display in the Ceramics Study Galleries, Asia & Europe, room 137). Another close example was offered by Nagel Auctions (Germany) in fall of 2013. A charger from around the same period sold at Christie’s in spring of 2013 for $17,500 (lot 2107 sale 2830).